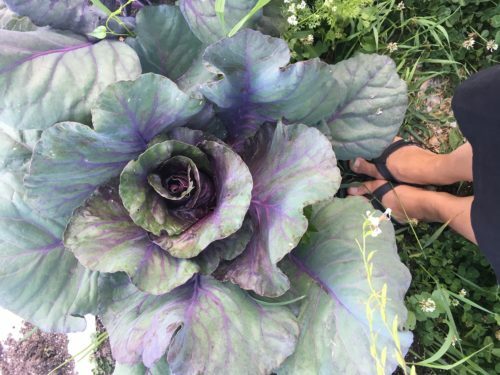 I love fall and winter gardening, in fact, I almost prefer it to our summer garden! 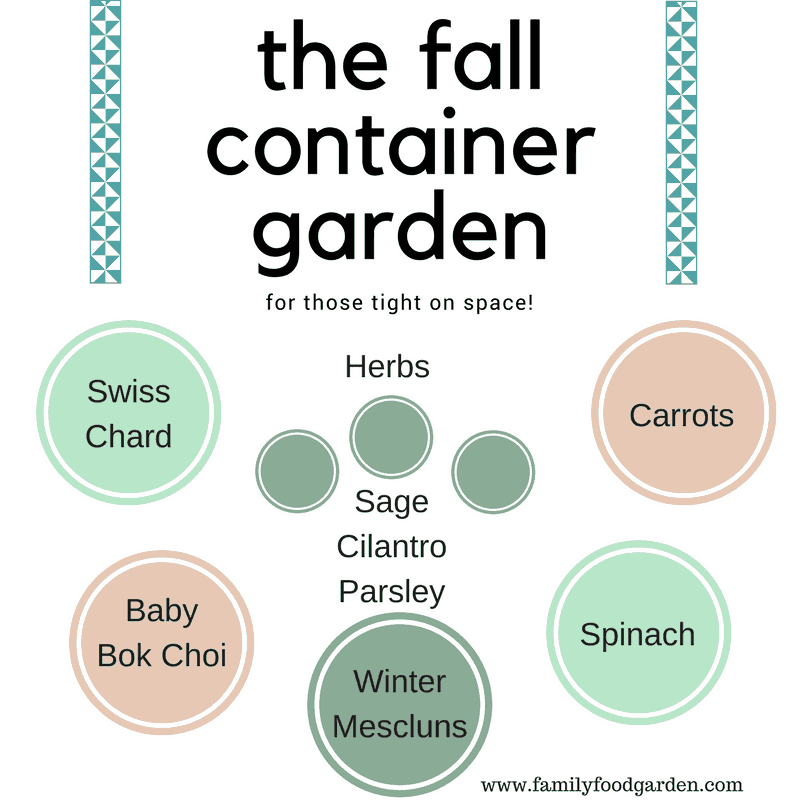 Today I’m sharing some fall and winter gardening plans to give you some inspiration for crops and layout. I’ll also share a sowing schedule for your fall and winter crops depending on when your first fall frost dates are. 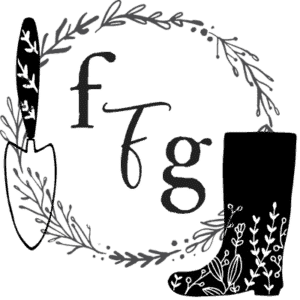 If you need help staying organized be sure to check out my garden planning printables where you can fill out your sowing schedules and keep track of frosts and what you’re growing in each garden bed. 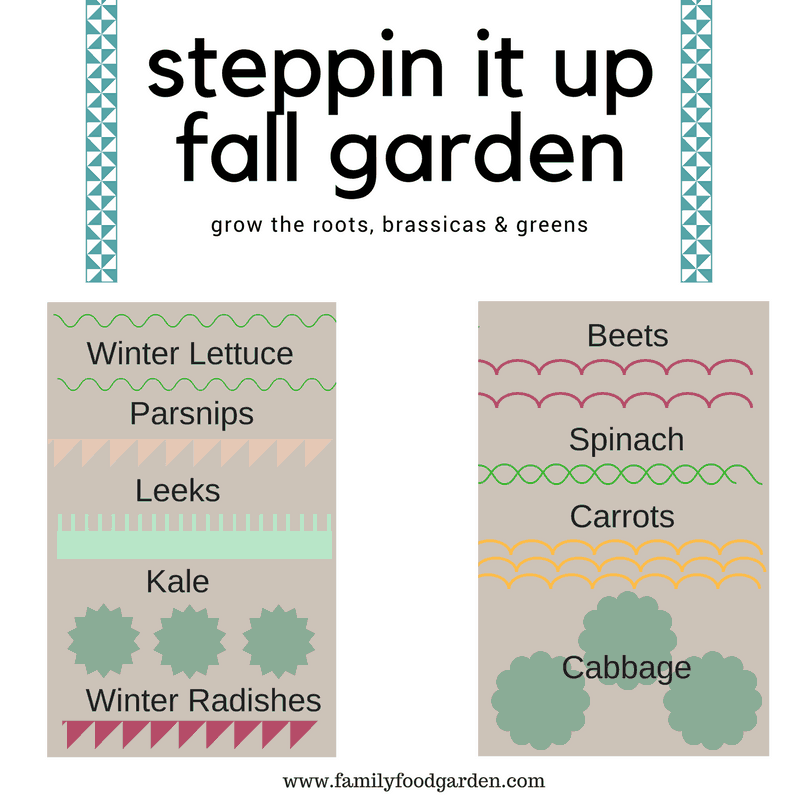 Here are some visual fall and winter gardening plans for inspiration. 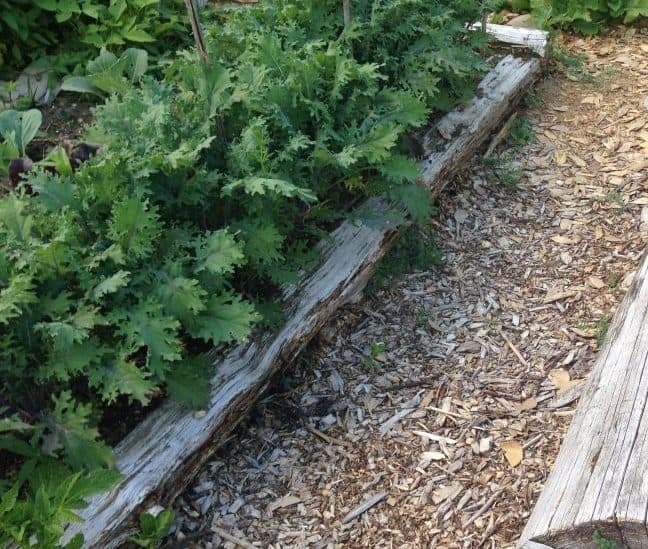 You can still grow a fall or winter garden even if you only have limited space. The first garden plan example shows you what you could grow even if you just have some containers, the next example is just one garden bed and the last is a couple of garden beds. You can take this further with multiple beds and add season extenders if you wish to extend your growing season into the winter months. 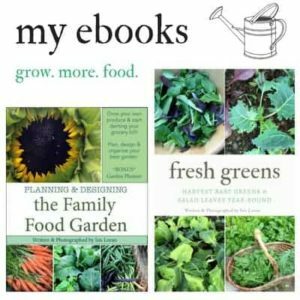 Learn more about winter gardening and season extenders here. The first thing you need to know when creating your fall and winter sowing schedule is when you can expect your first fall frost. For us, this can be anywhere from Sept 5-Oct 15th! The good thing is that fall and winter crops are frost hardy and can handle light freezes and delayed growth with shortened daylight hours. Once you know your frost dates you can count back the weeks for the list of crops below. 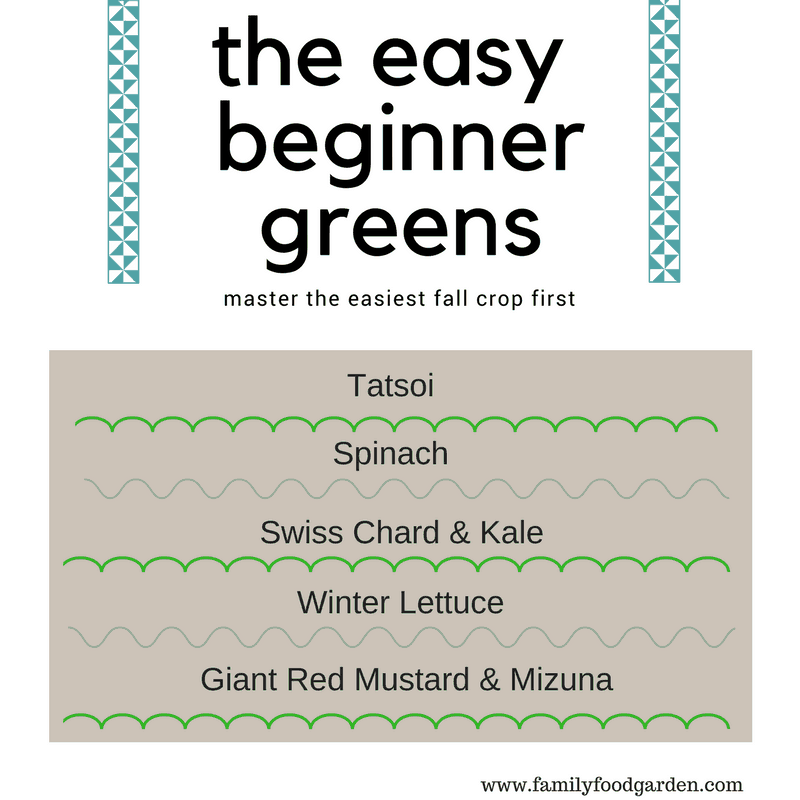 Remember when growing greens you can harvest at multiple life stages and still get harvests. Other crops need more time to mature like root veggies and cabbages and you might need to practice succession sowing to get the timing right for these crops. This is a rough sowing schedule for when to sow your fall and winter gardening crops. Make sure you check the dates on your seed packets because some crops like carrots, for example, can grow as fast as 55 days (like the hybrid Napoli carrots which are excellent for fall/winter gardens) or as long as 110 days (like Autumn King winter carrots). Some crops if sown too early can bolt with the summer heat and are better with delayed sowing. TIP Sow crops multiple times! 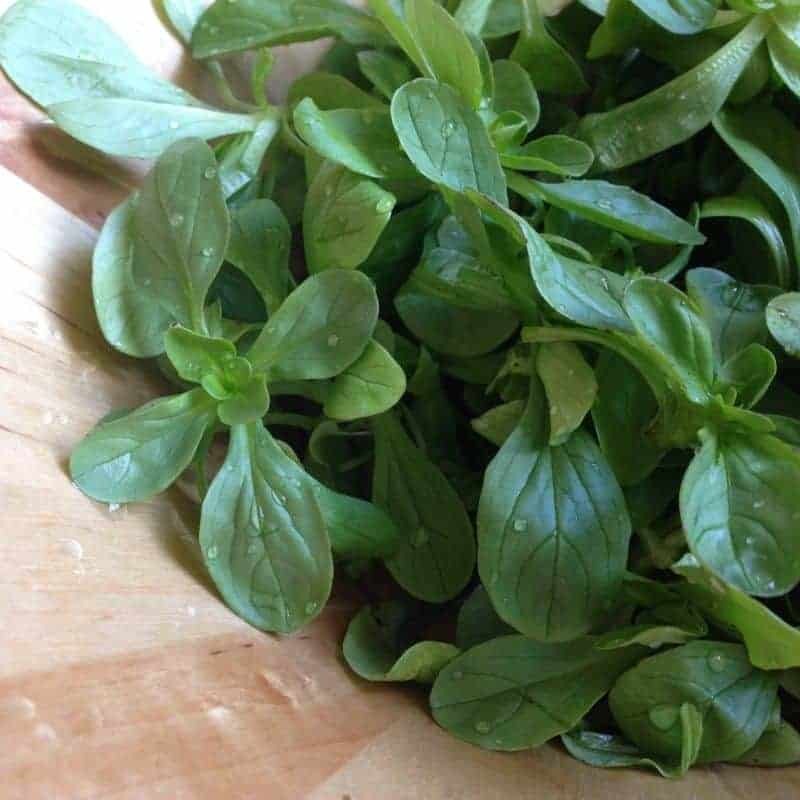 Sow many of these fall/winter crops multiple times instead of all at once. All the greens should be succession planted to spread out harvest and reduce the chance of losing crops to bolting if the weather still fluctuates. I start succession planting early to mid-August and keep sowing until mid-Oct under season extenders and my hope is that the later sowings will overwinter for an early spring harvest. Remember to boost your soil before planting too with compost so the crops have enough nutrients to grow. Usually, fertilizers don’t work as well in the fall as the uptake is slower with colder soils. 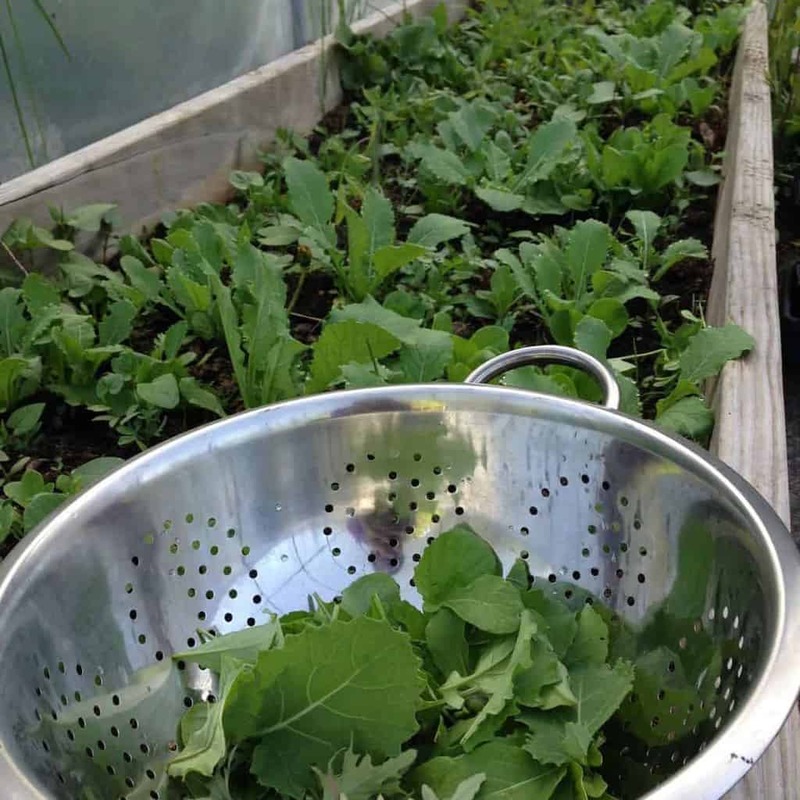 Your later sowings will be baby greens, for example, kale or swiss chard. 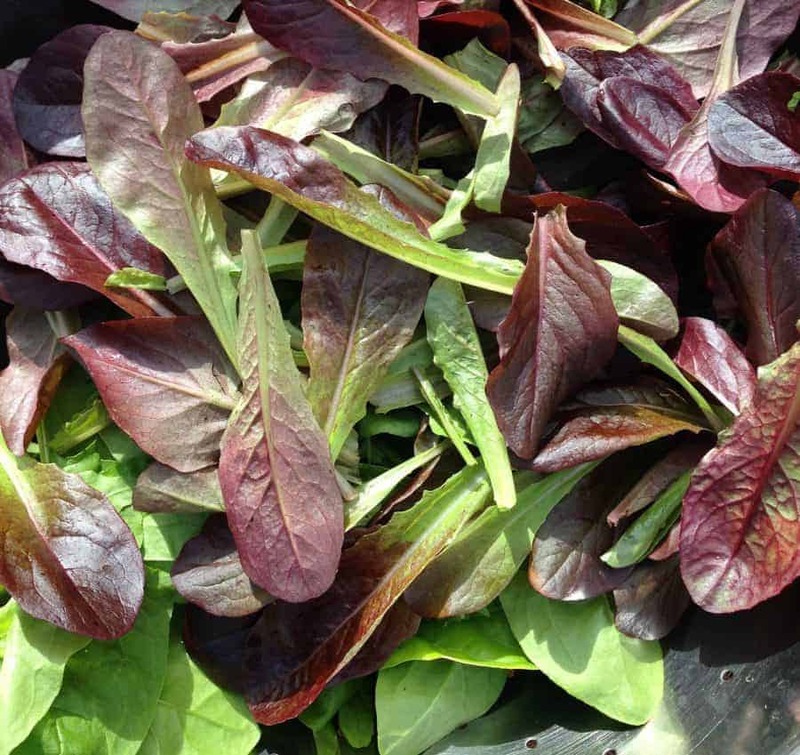 What is your fav fall/winter crop to grow?